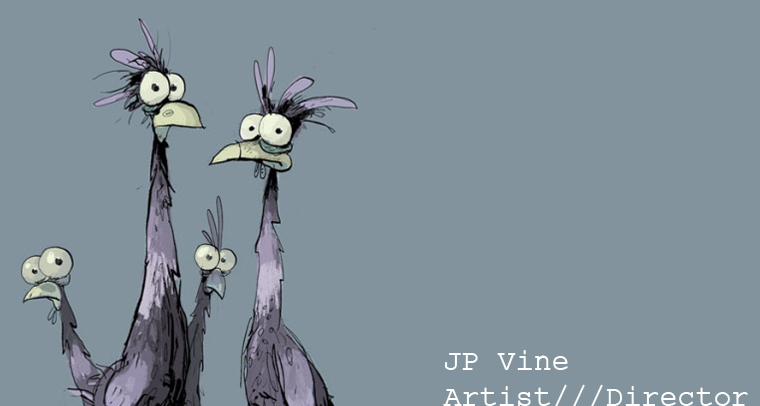 As usual, boarding my behind off for Aardman, and still having fun with it. And: my website has been overhauled and filled with new work lately. Please check it out, I'd be happy to hear any feedback. Happy Holidays JP! Amazing, inspiring work as always. Great to see a lot of your work together in one place. hey do you have 2 different blogs now? I noticed this one and the one on the site are not the same. Thanks for checking it out talia, yes, i'm kinda split between the two blogs, but the plan is to gradually transfer everything to one place, the jpvine.com site.